Non-alcoholic sparkling juice drink. Made with real fruit juice. Gluten free. Free from artificial colours, flavourings and preservatives. 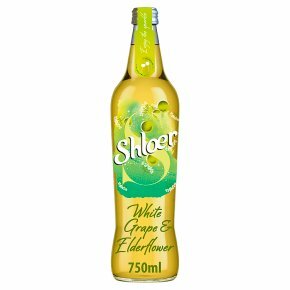 Suitable for vegetarians and vegans.Wild Elderflower & Grape ?Blossoms up Delicate. Refreshing. Fabulously floral. Oodles of sparkle. But enough about you, it's wild elderflower's time to shine.